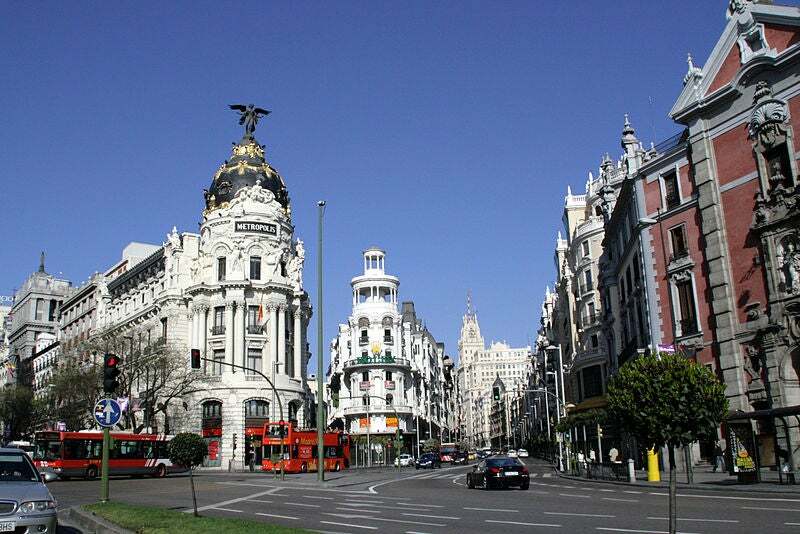 For the second week of “Catch The Points Guy” on the Chase Sapphire Facebook page, I headed to one of my favorite international destinations: Madrid. Calle de Alcalá with a view of the Metropolis Building in Madrid. I flew from Miami to London Heathrow on the upper deck of a British Airways 747 and used my layover at Heathrow to take a quick shower at the airline’s huge lounge at Terminal 5 before taking the two-hour flight to Madrid, where I arrived well rested and ready to watch the Euro Cup soccer…uh, I mean futbol…finals. 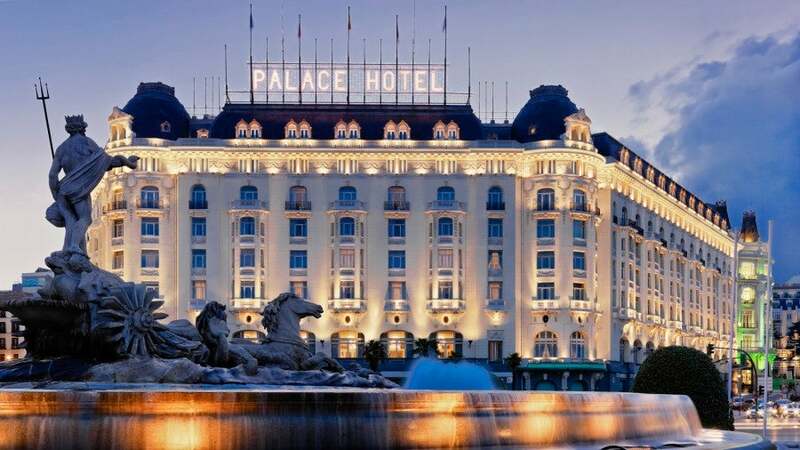 When deciding where to stay, I found I could redeem 21,306 Ultimate Rewards points to stay at the Westin Palace Madrid, which is one of my favorite hotels in the city, and where a standard room was going for $267 a night. Though Starwood isn’t a transfer partner of Ultimate Rewards, I redeemed points directly through the Chase travel portal and since Chase Sapphire Preferred cardholders get a 20% discount, so each of my points was worth 1.25 cents. Note: Since Starwood only counts days booked directly through them for points and elite status, I didn’t earn either on my stay. Some of the things I love about this particular hotel is how centrally it’s located and the fact that it’s near major museums like El Prado and the Reina Sofia, which I try to visit every time I’m in the city. Even better, my rate included breakfast in the Opera restaurant, with its gorgeous stained-glass dome, and which is one of the most spectacular hotel restaurants I’ve ever visited. I happened to be in the city for the Euro Cup final, so I went with my friend Lori to a local bar called La Manduca to watch the game with a rowdy crowd that went into a joyful frenzy when Spain won. It was the perfect Madrid evening. 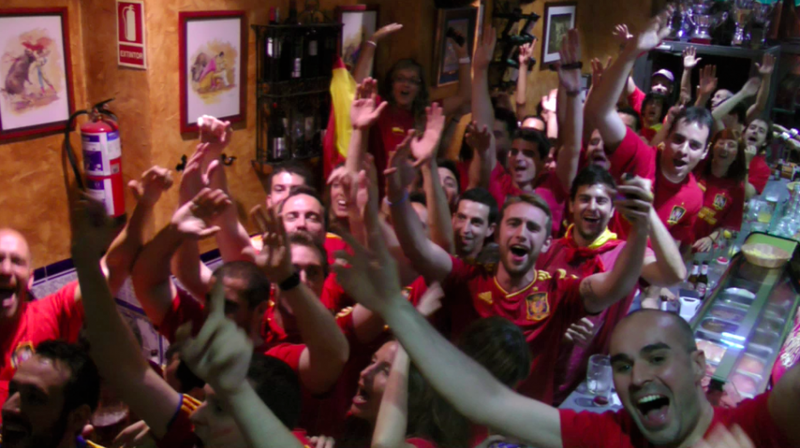 The wild crowd at La Manduca for the Euro Cup final! The other days I spent in the city included a visit to leafy Buen Retiro park and rowing in its small lake, enjoying a hearty plate of huevos rotos (“broken eggs” scrambled with chorizo, tomato and potato in a skillet) and visiting a “Ham Museum” where I picked up some slices of my favorite jamon Serrano. 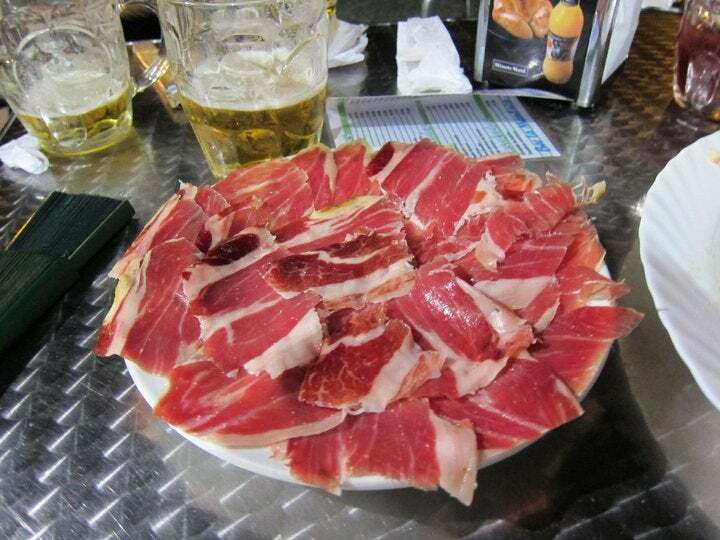 Delicious plate of ham at Museo del Jamon. 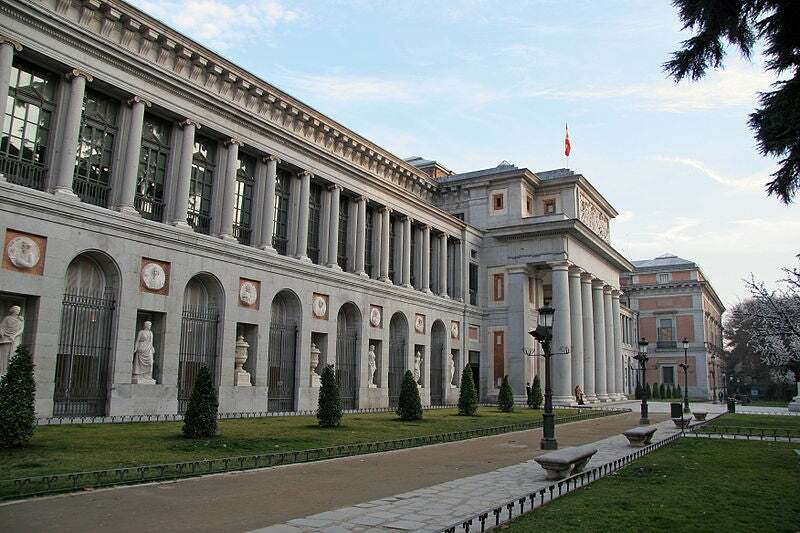 Some of my other top spots in Madrid include an adorable little museum called the Museo Sorolla to look at the small but brilliant collection of Impressionist paintings – it only takes about 30 minutes to go through in details, so it’s perfect for a little dose of culture. I head to a restaurant called Lateral to snack on their delicious tostas and pinchos, La Finca de Susana near the Puerta del Sol for an upscale lunch or dinner of nouvelle Spanish cuisine in their beautiful dining room; and I go for drinks either at Ole Lola in the Tribunal barrio which is filled with buzzing nightlife, or the rooftop of Mercado San Anton in Chueca – the perfect spot for a nightcap. I love Madrid, and when I’m there, it’s hard to imagine leaving, but after a few days, it was time to head to my next “Catch The Points Guy” destination. Check the Chase Sapphire Preferred Facebook page next week to find out where I was headed. Note: I was compensated by Chase for my participation in this campaign, but all opinions expressed are completely my own. *Avios redemption levels, taxes, fees and carrier charges cited at time of publication subject to change.